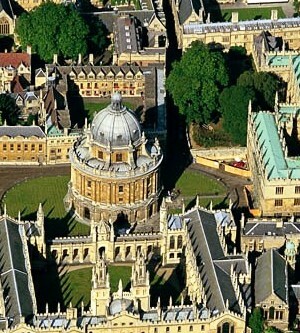 Like Morris himself, I love and loathe Oxford University in about equal measure. So when this year’s University Boat Race was disrupted by swimmer Trenton Oldfield I found myself simultaneously furious that Oxford had been deprived by him of victory and anarchistically delighted that this ridiculous elite event had not after all been allowed to close the river Thames to everybody else that day. In similar mode, once booked in to give a talk on ‘William Morris in Oxford’ at the Morris Society AGM in Mansfield College last weekend, I didn’t just want to indulge dreaming spires nostalgia – even if this was the political nostalgia of celebrating Morris’s own architectural and socialist campaigns in the city – but decided to say something about possible future uses of our venue too. So my full title was: ‘William Morris in Oxford: As It Was and As It Might Be’. In part a rehearsal of my 2007 book on the topic (available through Amazon), with one or two new discoveries thrown in too - Morris’s student ‘bodyguards’, for example; but also a utopian proposal, as with Ellen in News from Nowhere (which itself has to pass through Oxford): ‘I shall make a proposal to you to do something which would please me very much, and I think would not hurt you’. Ellen, living in utopia, knows that the Nowherians need more history, but we, living in history, in my view need more utopia. 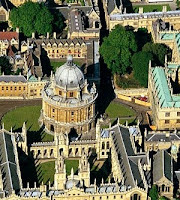 So the proposal – William Morris in Oxford As It Might Be – was to launch a Morris Society Utopian Studies group in Oxford, building upon certain relevant traditions of the place itself (the Speculative Fiction Society of Brian Aldiss and C.S. Lewis, for instance) and intervening in both undergraduate and local civic and political culture from this base. Would it work? Could we muster the personnel? I’m not sure. But if we want to tell a story – i.e., make a story – about Morris at his old university rather more activist than Pre-Raphaelite stained glass in Christ Church cathedral, then I think it’s worth a shot.